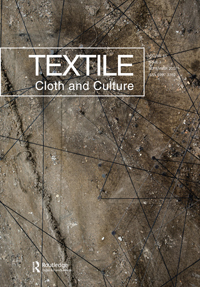 This research guide will provide you with starting points for finding information for textiles. 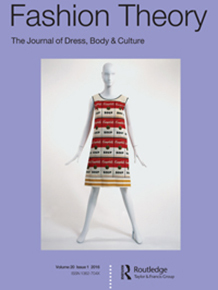 An online portal which offers cross-searchable access to a range of Berg content collections – including the Berg Encyclopedia of World Dress and Fashion online, e-books, reference works, images, and more. Good for design and studio art related articles including sculpture, textiles, photography, object design and design theory. A digital library of academic journals, books, and primary sources for students and scholars of arts and humanities. Extensive image library, encompassing a broad range of areas from fashion & costume to religion. Images are rights-cleared for download and use in education. Image Quest provides access to more than two million images. All images are rights-cleared for non-commercial, educational use. Provides access to a range of Oxford’s art reference works and specially commissioned articles and bibliographies. An online resource with more than 100,000 freely available images that are copyright cleared for use in learning, teaching and research. Informit EduTV is an online TV streaming resource featuring 10,000 programs including documentaries, drama and series. Features articles and pictures from world-wide newspapers for the last two months. All the major news and related current affairs programs broadcast by free-to-air networks, ABC, ABC2, SBS, TEN, 9 and 7, since 2007. Provides full-text access to Australian and international newspapers. Published by the American Craft Council, this magazine includes artist profiles, exhibition reviews, lists of museum and gallery exhibits, and discussions of historical as well as contemporary crafts. Fashion Theory takes as its starting point a definition of “fashion” as the cultural construction of the embodied identity. It provides an interdisciplinary forum for the rigorous analysis of cultural phenomena ranging from footbinding to fashion advertising. Selvedge is a design-led, 100 page, bi-monthly magazine that covers various aspects of textiles, including interiors, fashion, art and craft. Each issue of SDA Journal is designed around a theme. It may focus on a technique, such as hand embroidery; a genre, as in mixed media; aesthetic directions, like soft sculpture; or a part of the world, such as Africa. 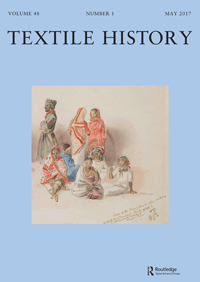 A peer-reviewed journal that features articles dealing with aspects of the cultural and social history of apparel and textiles, as well as issues arising from the exhibition, preservation and interpretation of historic textiles or clothing. 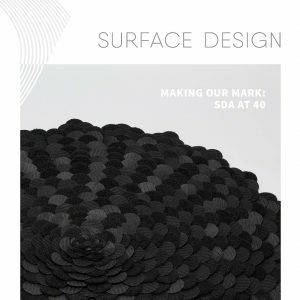 A peer-reviewed journal that “provides a platform for points of departure between art and craft; gender and identity; cloth, body and architecture; labor and technology; techno-design and practice— all situated within the broader contexts of material and visual culture”. 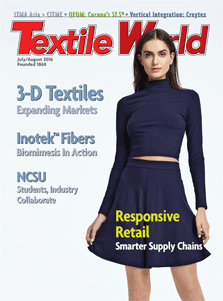 A trade magazine that presents news and analyses of technologies, processes, issues and interviews related to the global textile industry. Textile Fibre Forum is an Australian magazine for fibre arts. It features exhibitions, showcases artists and looks at innovations relating to textiles and fibres. Available in print only. Check Library Search for issues.